I’ll never complain about the COLD again! 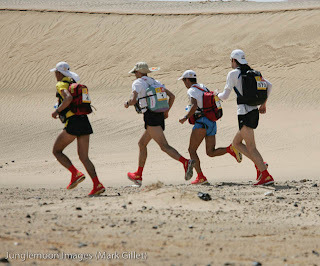 In response to the Antarctic Ice Marathon, a coworker sent me a link to The Marathon Des Sables. 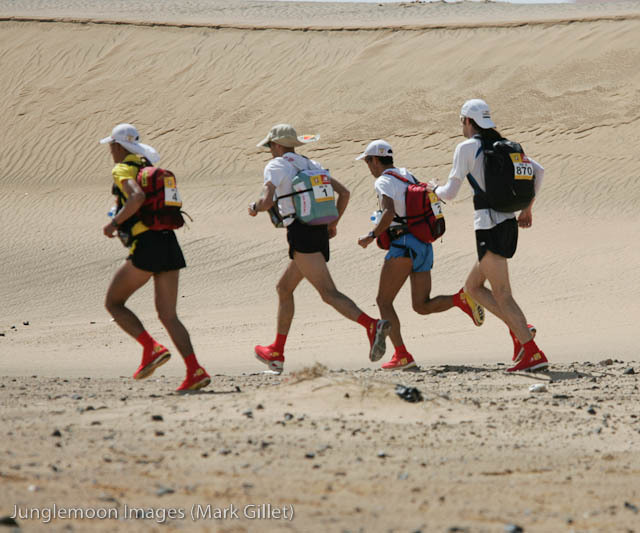 This is a 6-day, 151-mile endurance race across the Sahara Desert in Morocco each March/April. That’s equivalent to 5 and a half marathons! In addition to that, competitors have to carry everything they will need for the race (food, clothes, medical kit, sleeping bag, etc, everything except for a tent) in a backpack while they run. Water is rationed and handed out at each checkpoint. Cost to participate is 3,200 Pounds ($4,962.56 American). 2011’s 235 race spots are already taken – sorry, I know you wanted to go. And guess what? The wait list for 2012 (which opened in 2009) is also already full! Who knew getting sand in your shoes was so popular?